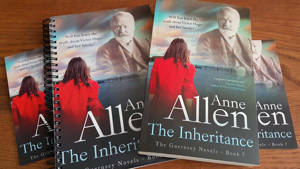 Welcome to my stop on the blog tour for The Inheritance by Anne Allen. I’ve been wanting to try one of this author’s books for ages so jumped at the chance to review this one. There’s also a chance to win a copy of the book and a notebook. My thanks to Rachel Gilbey from Rachel’s Random Resources for the place on the tour and for supplying me with an e-copy of the book for review purposes. There’s a lovely book trailer for the book. Here’s the link for all titles on Amazon. This is the sort of book I often go for. I like books where there’s a real life element to it, either based around a place or person that really existed. I also like dual timeline stories. The Inheritance has both of these elements so I was….well…in my element! The real life person is Victor Hugo, author of Les Misérables and he features very strongly in the 1862 story. It’s really Eugénie’s story though, a young woman who has been widowed and who ends up, after a chance encounter, becoming Hugo’s copyist: the person who deciphers his handwriting and crossings out and writes them up in a much neater way ready for sending to his publisher. The story takes place in Guernsey, somewhere I have never been but would like to visit one day. I can imagine that a visit might just take in the museum dedicated to Victor Hugo who did spend a number of years on the island. The modern day strand of the story is all about Dr Tess Le Provost. After inheriting her great-aunt’s house on the island, she is desperate to return there after leaving when she was a child. So she takes on the massive project of getting the house ready for her to move into – no mean feat, although she does happen to have a rather handsome builder at her disposal. So how do these two strands come together? Sometimes when I review a dual timeline novel I say that I would have liked the two strands to intermingle a bit earlier or to have more of a connection. No such problem here as there’s a very clear connection. Tess is a distant ancestor of Eugénie and she finds a number of interesting items that lead her to investigate the past. Taking it a bit further still, I thought there were some clever parallels by the author between the two storylines. 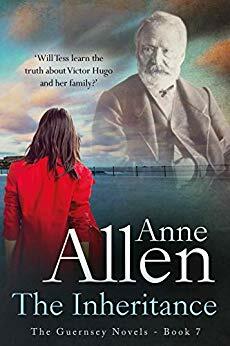 I did think that Tess’s integration into Guernsey life was a bit too smooth and perhaps not wholly true to life, but I didn’t begrudge her that and I think the author was keen to make the Eugénie/Hugo link more important than Tess’s new life. 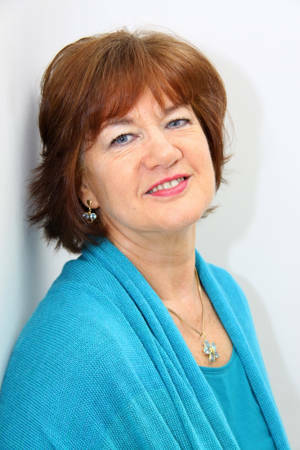 Anne Allen has obviously done quite a lot of research into Victor Hugo and his time on Guernsey and it showed. All in all, an enjoyable read, with quite a lot of sadness in the story in the past and a really intriguing premise. *Terms and Conditions –Worldwide entries welcome. Please enter using the Rafflecopter box below. The winner will be selected at random via Rafflecopter from all valid entries and will be notified by Twitter and/or email. If no response is received within 7 days then Rachel’s Random Resources reserves the right to select an alternative winner. Open to all entrants aged 18 or over. Any personal data given as part of the competition entry is used for this purpose only and will not be shared with third parties, with the exception of the winners’ information. This will passed to the giveaway organiser and used only for fulfilment of the prize, after which time Rachel’s Random Resources will delete the data. I am not responsible for dispatch or delivery of the prize.